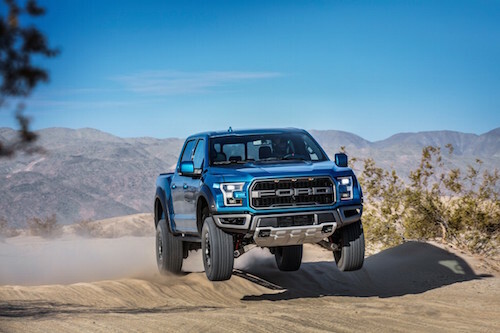 Our Ford truck dealership in San Juan Capistrano offers a beautiful selection of new models, including the new Ford Ranger, F-150, F-150 Raptor, F-250, F-350 as well as other Ford Super Duty trucks for sale. We have a variety of sturdy new trucks with Regular Cab, SuperCab and CrewCab body styles. Explore our inventory of new Ford trucks for sale to see available models, photos, trim levels, color options, MSRP and dealer special offers. For your convenience, we offer several financing options for buying or leasing a new Ford truck in San Juan Capistrano, CA. Our team of auto financing experts can help you find the perfect vehicle at the perfect price with factory incentives or current new truck dealer specials. We invite you to visit our new truck dealers in San Jan Capistrano for a great selection of new vehicles, convenient financing and affordable prices at Capistrano Ford.